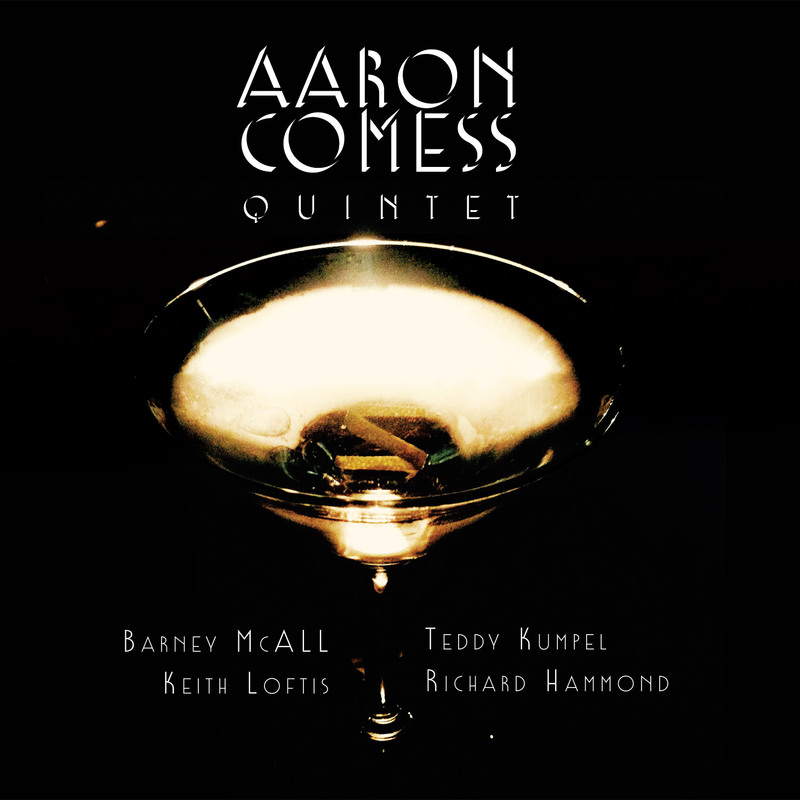 Drummer Aaron Comess throws down the gauntlet for the best “classic” jazz album of the year with this disc of originals and modal standards with Keith Loftis/ts-ss, Barney McAll/p, Richard Hammond/b and Teddy Kumpel/g. The band has a hip coherent feel, and take on some heavy material from Coltrane at the get go with Hammond’s bluesy bass leading into a flowing rhythm like a rising dust storm that leads into a slightly mellow and subdued read of “Africa” which has Loftis’ sax slowly brings up to a migration rather than the original stampede. The read of “Resolution” has the tenor going mano a mano with the leader, whle a funky and fun herky jerk develops on “Catskills Last Waltz.” Comess makes the rhythm team create shifting sands on the moody “Freedom Jazz Dance” and form little ripples for McAll and Kumpel on the evocative and alluring “Ode To Atilla.” An ode to Miles Davis’ ESP band has the band strut through “Intangible” with some spry and slinky piano work along with Loftis thick tenor. This is a delight for fans of when acoustic and adventurous jazz was still lyrical and meaningful. to showcase his jazz side. But his background is solidly in jazz, from his studies at an arts magnet high school in Dallas, where trumpeter Roy Hargrove was a classmate, to his year at the Berklee College of Music in Boston and subsequent two years at The New School for Jazz and Contemporary Music in New York, where he came under the tutelage of such mentors as Jim Hall, Reggie Workman and saxophonist and New School founder Arnie Lawrence while also studying privately with Jimmy Cobb, Bernard Purdie and Victor Lewis. From his genuine swing factor to his interactive instincts, he plays authentically while standing on the shoulders of the greats on this potent outing.